The interesting part about the Lenovo Z5 is the fact that is shows a real all-screen design. No notches and little to no bezels at all. It shows a 95% screen-to-body ratio, which is, by far, the highest in all of the smartphones today if it comes to fruition. It can also be said that it could be a bit thinner than the Vivo APEX prototype. Cheng also boasted that the Lenovo Z5 will bring a lot of technological innovations with it using 18 patented technologies, such as up to 4TB of storage, and about 45 days of standby time. We can also take a wild guess what a few of those innovative tech will be. First will be the front camera's placement since it does not seem to have a notch to house it. Then there's the fingerprint sensor which they can place under the display or at the back of the device itself. 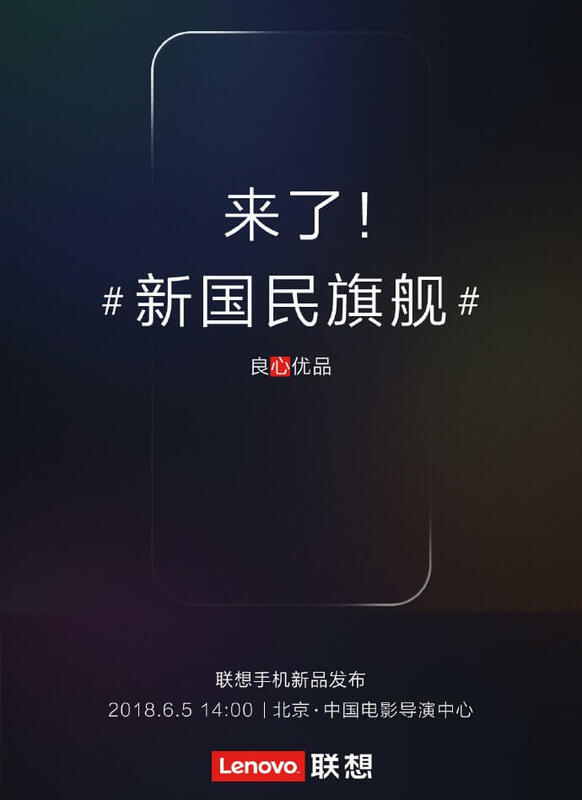 As of now, being a teaser, a lot of information about the Lenovo Z5 is still kept under wraps, but we can expect more information in the near future, June 5 to be exact. What do you guys think? Is there any particular theories about the new tech they will put in the Lenovo Z5?